We offer a wide range of buses and coaches for hire. From a car to large coaches. All mini bus and coach hire vehicles include DVD and TV’s. All transfer vehicles are supplied with a driver. Tolls and parking are included in quotes. Choose the team that you can rely on. Mini bus and coach hire from Gold Coast or Brisbane to your destination. 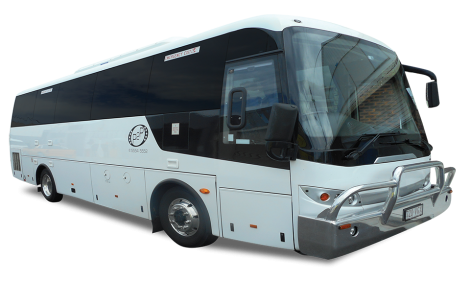 You can get us to pick you up from the Brisbane city in one of our luxury coach bus hire vehicles and rely on us to get you safely to your destination. Have one of our drivers inform you of all details about the glorious Gold Coast or any other destination. Our hand picked drivers have an extensive knowledge of all areas. Perfect for tours and sightseeing. Point to Points fleet are owned and operated by the company so you receive the highest level of service and a clean vehicle. No matter how big or small, we are ready to cater to all of your transportation needs.